Having someone to support you through your prostate cancer journey is key in coping with the symptoms, diagnosis, treatment and recovery. Your partner or wife can be your biggest support during this time, and it’s important they know how they can best help you. 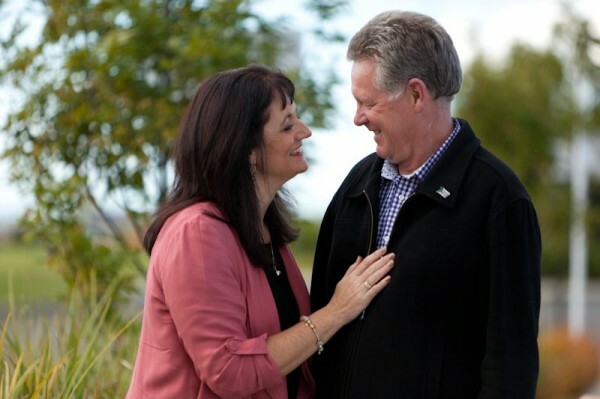 Grace Prostate Cancer Centre continence nurse Judy Kelly shares her advice on supporting your husband or partner with prostate cancer. Where possible, attend as many appointments together as you can. Every time you meet with specialists, surgeons or nurses, there will be new information to absorb, and two sets or ears are always better than one. Take in everything as best you can so you are able to discuss all possible options with your husband or partner, knowing that you are fully informed. It is vitally important for men to have someone to talk to. Men have a tendency to shut off their feelings, and are hesitant to express the emotions they’re going through as they deal with prostate cancer. Give him time – but let him know you’re there whenever he’d like to discuss his feelings about the situation. Encourage him to join a prostate cancer support group. Many men gain a great deal from the mutual support of others on a similar journey. Joining a support group can give him that outlet to talk through his experience and feelings that he may struggle to share with others who aren’t in his situation. Depression and anxiety is more likely among those who are dealing with cancer. Be alert for signs of depression, and if necessary encourage him to seek counselling, or alternatively, encourage him to talk to his G.P. about any concerns he may have about his condition, or treatment. Your positive attitude can make all the difference. This entry was posted in From The Experts and tagged depression, grace prostate cancer centre, prostate cancer, prostate cancer treatment, support groups.